Eighty years after it was written, this enigmatic story by Samuel Beckett makes its first public appearance and is the first new Beckett text to be published in almost two decades. 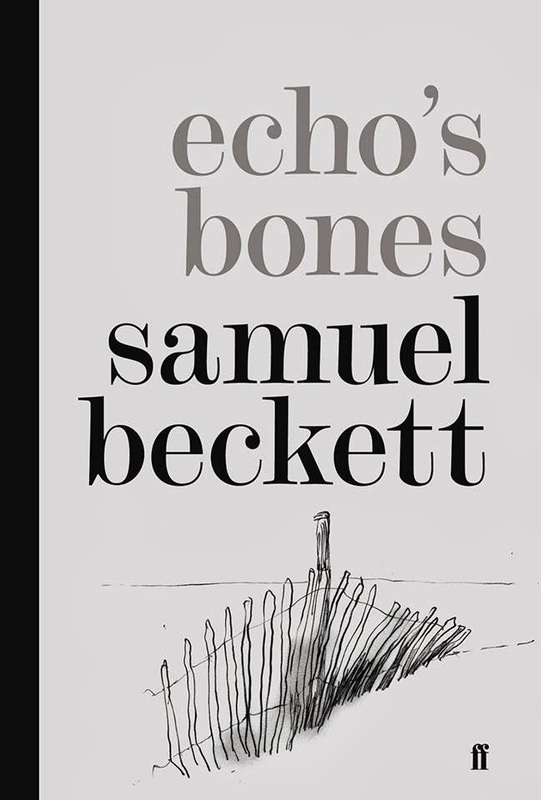 ‘Echo’s Bones’ was intended by Samuel Beckett to form the ‘recessional’ or end-piece of his early collection of interrelated stories, More Pricks Than Kicks, published in 1934 by Chatto & Windus. The story was written at the request of the publisher, but was held back from inclusion in the published volume and so has remained unpublished to this day. Introduced and fully annotated by editor Mark Nixon, this edition will situate the work in terms of its biographical context, its intertextual references, and as a vital link in the evolution of Beckett’s early work. Mark Nixon is Reader in Modern Literature at the University of Reading, where he is also Director of the Beckett International Foundation. With Dirk Van Hulle, he is editor-in-chief of the Journal of Beckett Studies and Co-Director of the Beckett Digital Manuscript Project. He is also an editor of Samuel Beckett Today / Aujourd’hui and the current President of the Samuel Beckett Society. He has published widely on Beckett’s work; recent books include the monograph Samuel Beckett’s German Diaries 1936-37 (Continuum, 2011), the edited collection Publishing Samuel Beckett (British Library, 2011) and Samuel Beckett’s Library, written with Dirk Van Hulle (Cambridge UP, 2013). Receive 30% off the book at faber.co.uk. Simply enter the code echosbones when placing your order. Offer ends 01/09/2014.